A formal approach to feasible numbers, as well as to middle and small numbers, is introduced, based on ideas of Parikh (1971) and improving his formalization. The “vague” set F of feasible numbers intuitively satisfies the axioms 0 ∈ F, F+1⊑F and 21000 ∉ F, where the latter is stronger than a condition considered by Parikh, and seems to be treated rigorously here for the first time. Our technical considerations, though quite simple, have some unusual consequences. 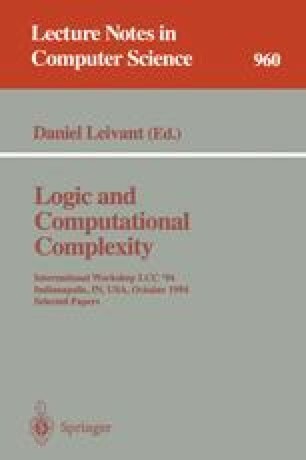 A discussion of methodological questions and of relevance to the foundations of mathematics and of computer science is an essential part of the paper. Supported by Russian Basic Research Foundation (project 93-011-16016). This paper is an extended version of the abstract (Sazonov 1992).